In March, we got real about what we wanted out of Thrive Lounge and our annual Vision Board Conference and decided this is the year we host the MOST GRAND VISION BOARD CONFERENCE... EVER. We started to take steps toward that goal and we immediately realized we're standing at the bottom of an imaginary mountain made of road blocks, challenges and, in many cases, lack of knowledge. Wait. Don't think it's all roses and butterflies just yet! I spoke with one mentor that asked ALL. THE. HARD. QUESTIONS. He asked me about our email list, our web traffic and our online community. He really wanted to know who is watching their email box, waiting for Vision Board Conference tickets to go on sale? (Hopefully you! My #ThriveSquad got my back, right? 😃) He cautioned that as I move forward on investing my time and energy into building the event of my dreams, I need to also focus on building the community. As a result of this conversation, you'll be seeing a lot of changes in the upcoming months... all centered around serving the community to the best of our ability... because we're nothing without you! My event planner went to work in pricing out exactly how much our BIG HAIRY AUDACIOUS CONFERENCE GOALS were going to cost. A huge plus is... she also walked us through marketing costs and profit! The email list has continued to grow steadily without any extra effort because we started a meetup group back in March! Starting a meetup group can be a great way to meet your target audience in person and build a stronger relationship with them the old fashioned way. Stacey's Sponsorship Strategy Intensive seemingly fell out of the sky at the exact right time. Now, I don't always like to get spiritual on the blog, but it is true what they say - when the student is ready, the teacher will appear. For those of you who don't know, Stacey Ferguson (aka. Justice Fergie) is the brilliant mind behind Blogalicious. She's the powerhouse behind the Blogalicious magic lining up sponsors like Coke and Dove year after year to host parties and hand out duffel bags full of gifts to attendees. She shared amazing info on how to identify and reach out to potential sponsors and how to make sure when you do pitch, you come correct. I'll be following Stacey's tips down to the letter in May and I'll keep you all updated on what happens next in this journey to create an unforgettable conference. The skills that got you into school, helped you get good grades, landed that cushy job you have are not the same skills you need to create something new. Becoming a creator requires lifelong learning. It requires humbling yourself and asking for help. It requires seeking knowledge and stepping out of your comfort zone. It requires late nights, sacrifices and dedication to your vision. 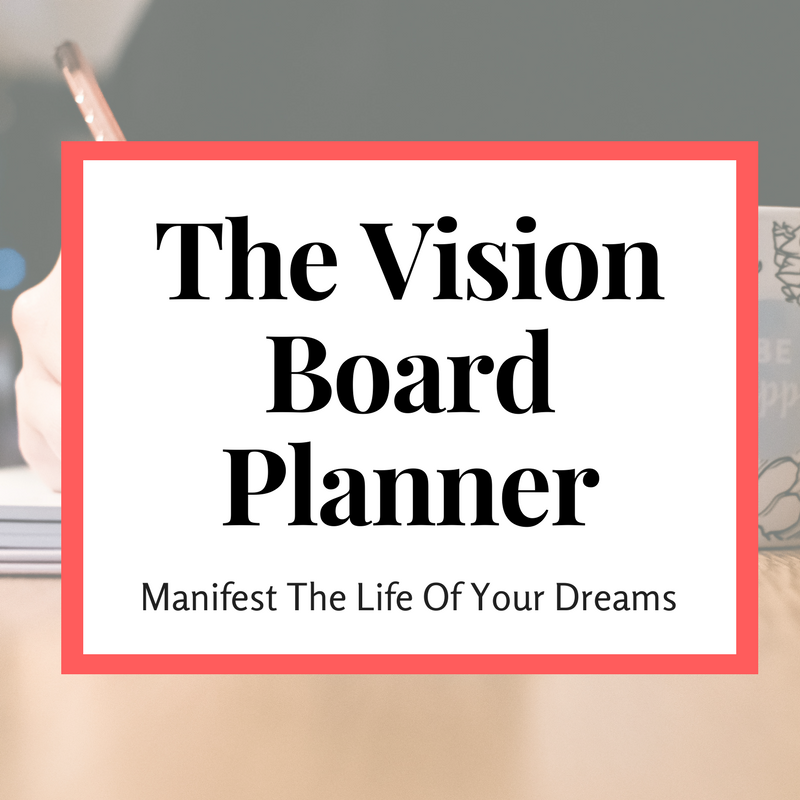 By the end of the month, we learned that this Vision Board Conference is something we believe the world needs. We inspire women like us to do exactly what we're doing - think outside the box, venture into new territory, build relationships and contribute to your community in a positive way. This is what empowers us to keep going. Hey #girlboss at this point you have figured out that we're having a kinda, well totally super big conference here in Washington, D.C called VisionCon. If you haven't done so yet make sure you grab your ticket. Here are the top 10 things to look forward to for this Saturday. 1. A special gift for each attendee sponsored by Ella Rucker published author and speaker. 2. A variety of food options to dig into. 3. We provide all materials, except confidence you bring that through the door. 4. A variety of cocktails and desserts perfect for a Saturday morning. 7. A panel of women with a variety of expertise from beauty, fashion, media, start-ups, tech, event planning, and more. 8. The opportunity to meet someone great to add to your networking circle. #bosstip make it a goal to connect with at least one person in the room at VisionCon. 9. Picture perfect moments. We understand how important it is to take a perfect selfie. 10. Your next step to the manifestation of your dreams. Are you ready?